All Servers will be under maintenance at 04:00 AM EST, server time 03:00 on July 27th. Maintenance is expected to take approximately 1 hours. Players may lose server connection or be unable to login to the game. Please keep an eye on this thread in our forums for any updates or changes! 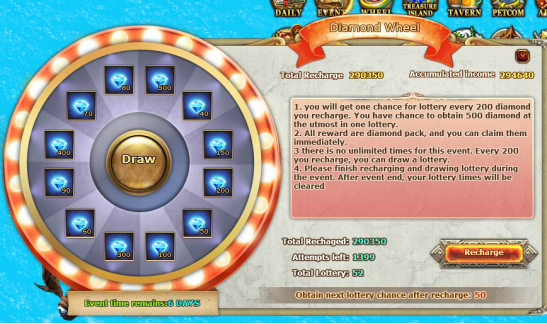 1.Diamond wheel event is online from July 27th to August 2nd. C.There is no limited times for this event. Every 200 you recharge, you will get one chance to spin wheel. D.Please finish your spin during the event. After event end, your spin times will be cleared. 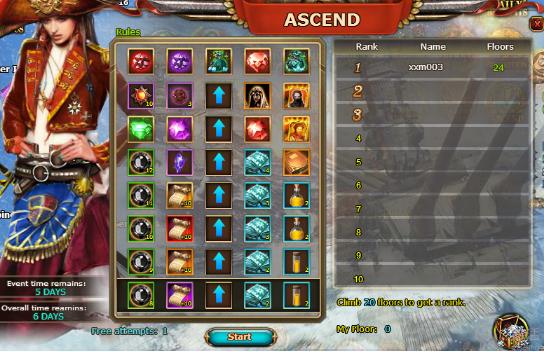 2.Ascend event is online from July 27th to August 1st. Rank reward claim time is August 2nd. A.Click ‘start’ to jump to a grid on random and obtain the item in the grid, if the content is up arrow, climb up. B.Reach the summit and get prize, then restart from the very beginning. 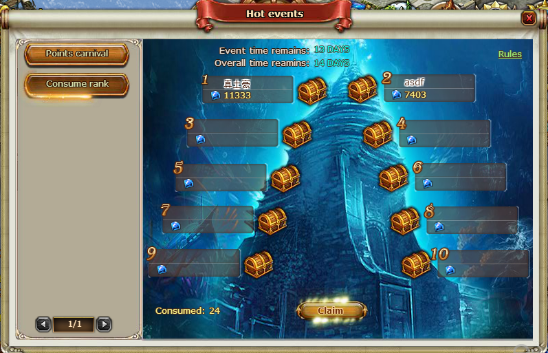 C.The floors rank will base on the total floors you climb during event period. D.Each player has one chance for free to climb every day. 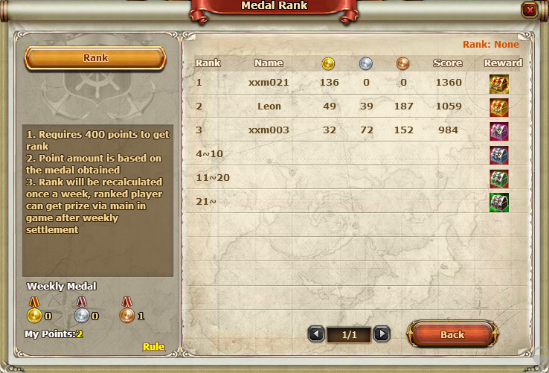 After that, it needs diamond to continue climbing. E.The climb progress will be reset to the 1st floor each day. 3.Consume rank event is online from July 27th to August 8th. Claim reward time is August 9th. A.After players' diamond spent reach the certain amount during the event, he can get into rank. B.When event is over, players can claim reward according to their rank. C.Players can still get reward even they are not in rank but have spent at least 1 diamond. 4.Dragon ball event is online from July 27th to August 2nd. 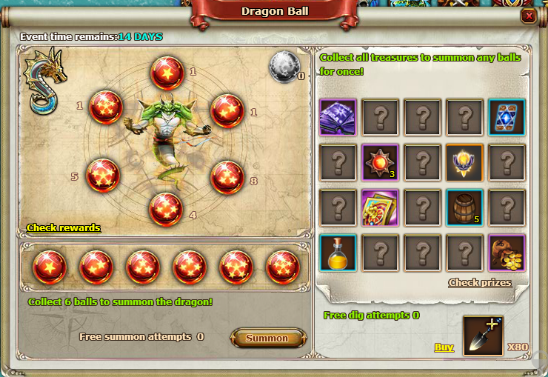 A.Collect 6 balls to summon dragon, player can choose any one kind among 3 gifts provided by dragon, summon dragon for 3 times and the Ultimate dragon will be summoned at the 4th time, which mean player can obtain all 3 gifts provided by Ultimate dragon. 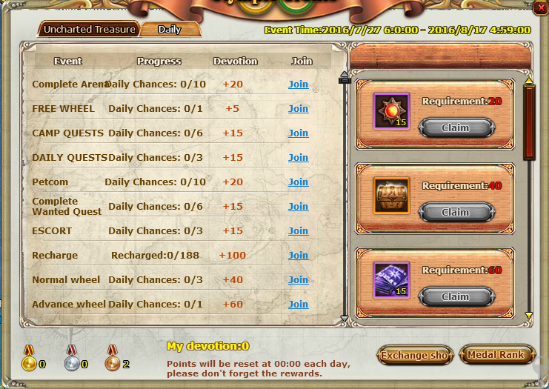 B.Player can directly summon ball for free attempts each day and use diamond to summon after free attempts runs out. 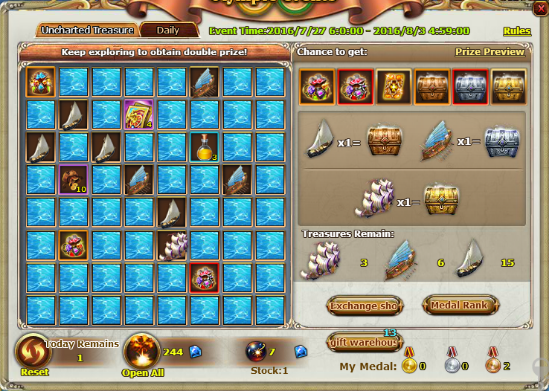 C.Player can use spade to dig treasure, after dig all treasures, they will have a chance to choose a ball what they need. 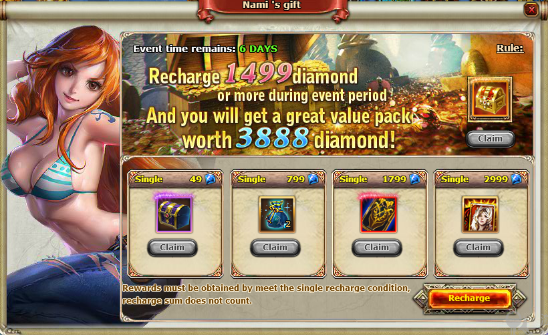 5.Nami’s Gift event is online from July 27th to August 2nd. A.You can claim the reward after your single recharge reaches the certain amount. B.All reward can be only claim once during the event. C.You can only claim one reward that is close to your recharge number for your every single recharge. 6.The part 1 of Olympic event is online from July 27th to August 2nd. A.Each round has 64 square available, click the square to get prize, each click requires a cannon ball. You have chance to shoot ship when you click square. There are 3 types of ship (Normal, Large, Deluxe) in game, shoot different ship to get chest in different quality(Golden, Silver, Bronze). You will obtain corresponding medals after opening chest. 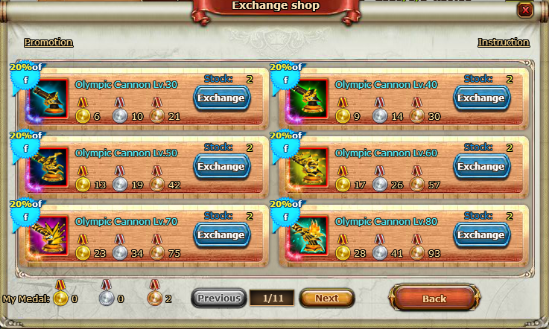 B.Medals can be used to exchange item in shop. Each item in the shop can be only exchanged twice. The items in the shop will be updated every week. Please grab the chance. C.Finish various quest to obtain point every day. After your daily point reach the certain amount, you can claim the daily reward. Your daily point will be reset at 0:00 next day. Please claim your daily reward in time. D.You will be on the rank list when your total point meet requirement. The rank reward will be sent to you by system mail. The rank will be reset every week. 7.Introduce new golden hero Rhea to the game.